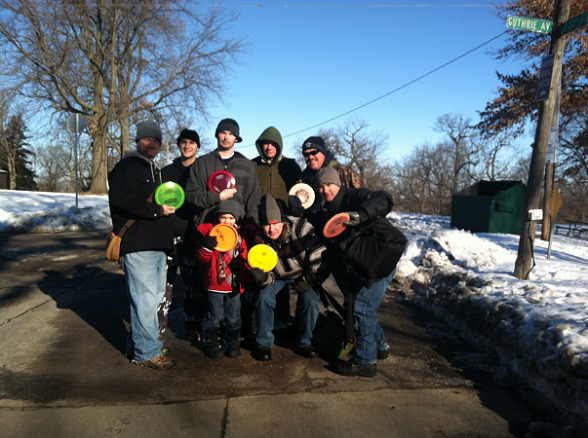 Beautiful Winter Day to Throw Discs! 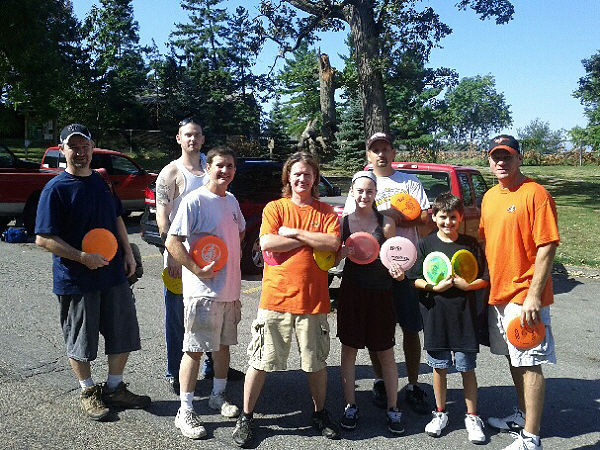 It was a beautiful Sunday morning to throw the discs! Joe shot a 63 to claim the victory today. This marks 79 Sundays in a row shooting frisbee golf. 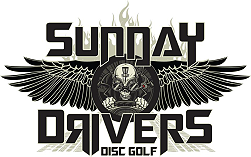 The 78th straight Sunday we throw a little disc golf. Yes, it was cold. 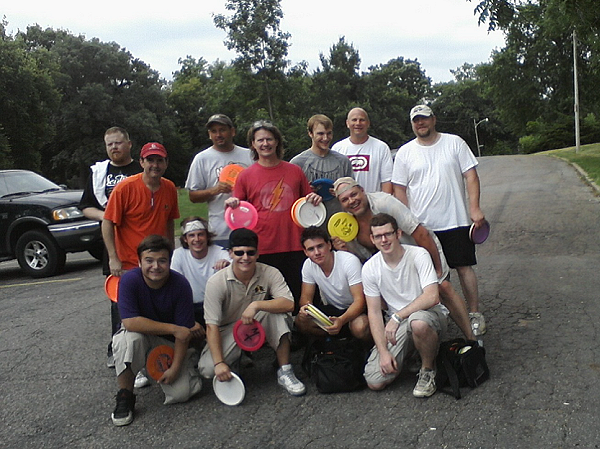 But, the discs were flying. Once again, Andy came out on top with a 67! 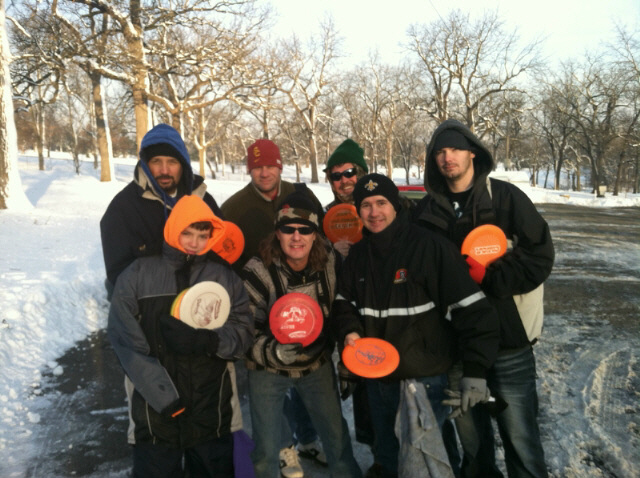 There is still nothing better than Winter Frisbee Golf in Des Moines! 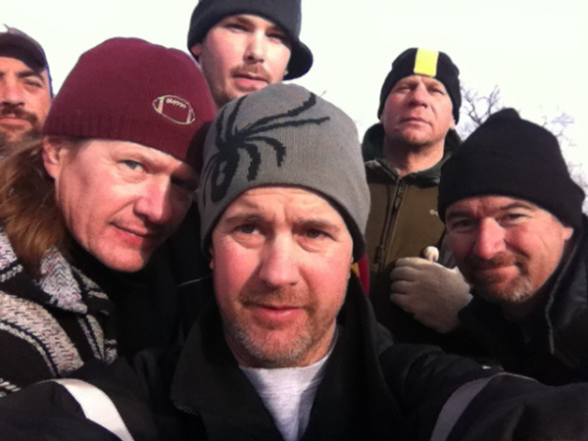 Ok, so we copied Graham Elliot‘s “Christmas Eve Eve”, but the Killer disc golf is an original! We had a brave group come out to shoot. Andy and Reuben tied for the win. This marks the 77th straight Sunday we played frisbee golf! 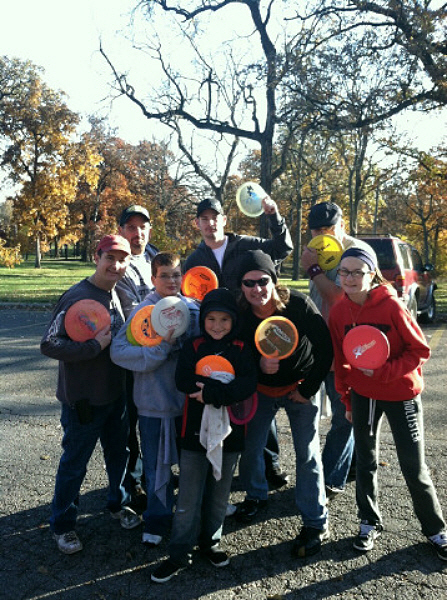 Nothing like welcoming December with a little frisbee golf. Joe shot a 63 to win the 74th straight week we played disc golf. We enjoyed a little Killer Disc Golf this morning, the 68th week in a row. It was a beautiful autumn morning. Joe shot a 63 for the win. 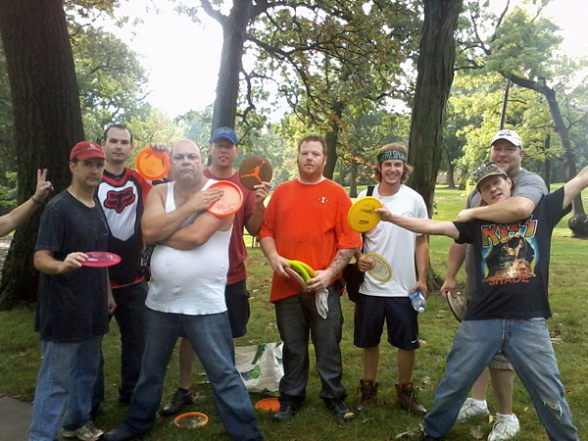 The holiday made us forget to add our results for Killer Frisbee Golf -Week 60. 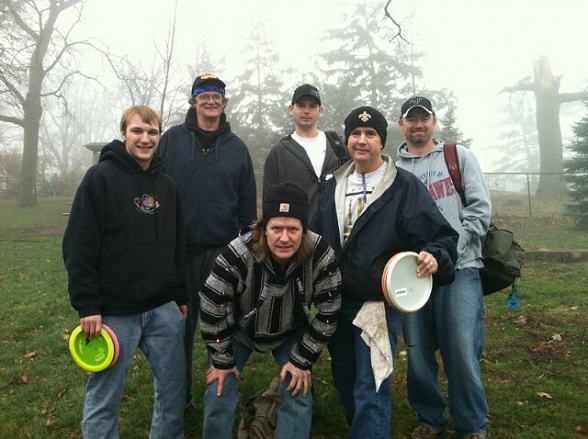 This week Mike, a newbee to our disc golf outings, came out and shot the low score! Archie recovered from last week’s run in with a disc to pull of this week’s victory! 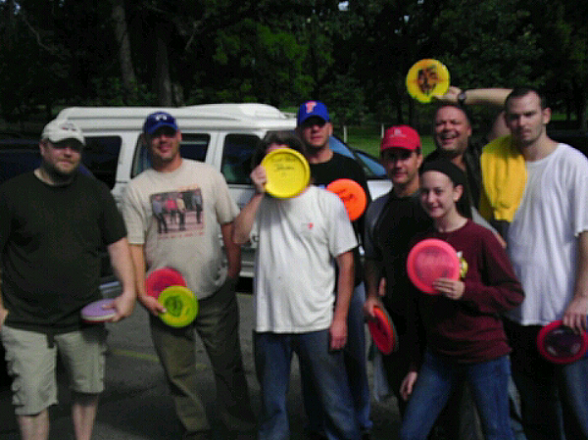 We had a great morning of throwing frisbee golf. John came out on top with a 62. The big story of the morning was Allison throwing a “blackeye”. When we say “blackeye”, we mean it literally. She threw a disc that hit Archie square in the eye. We think it is going to be a shiner! We had a pretty exciting week last week and how did we spend our day off? 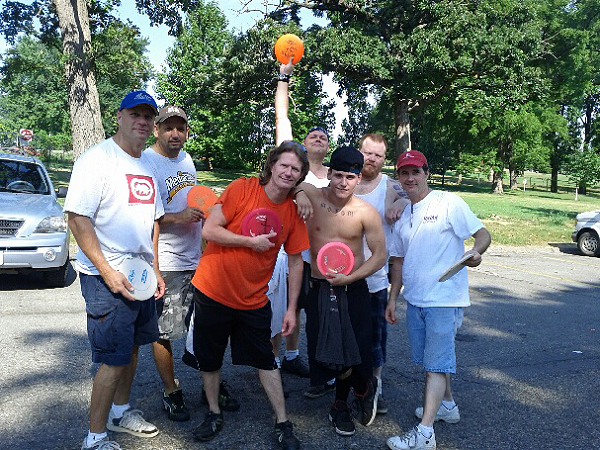 With some Killer Frisbee Golf, of course! Joe won this week! 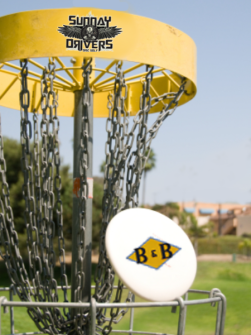 If you haven’t figured it out by now, we love to play a little frisbee golf. It allows us, as family and friends, to enjoy each others company away from the Killer Zone. This Sunday we hit a Killer disc golf milestone of playing 52 consecutive weeks. We all had a great time, but Kevin came out on top!